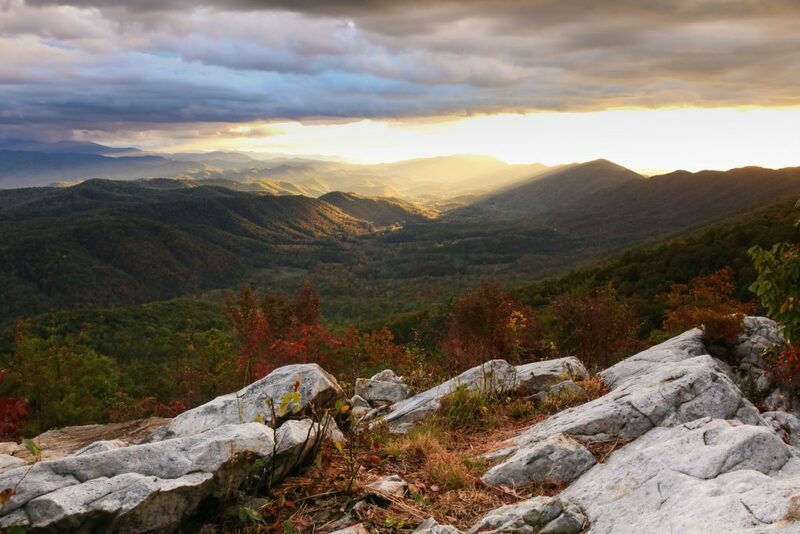 If you’ve ever traversed the 71-mile Foothills Parkway that winds along the rolling foothills of the Great Smoky Mountains in East Tennessee, then you already know just how spectacular this area of the United States is. With panoramic views of endless mountains topped with tulip poplars, redbuds, red maples and Fraser magnolias, this natural escape supports diverse habitat and wildlife, including the Blue Ridge bitter cress, ruffed grouse and timber rattlesnake. Nestled within the longest leg of this Parkway sits Blackberry Farm, a luxurious resort that offers critically acclaimed amenities, complete with a spa, brewery and farm. And best of all? This piece of indispensable nature will forever remain intact, thanks to the foresight of the Beall family and their partners, who came together to prioritize land protection while developing this exceptional eco-retreat. True stewards to the land, the Beall family and partners began purchasing land that surrounded the inn, creating an ecological refuge and direct connection to nature that they chose to share with guests. Then, taking their dedication to the land one step further, they decided to conserve over 2,700 acres under conservation easement by working with various conservation groups, including North American Land Trust (NALT), which holds more than 1,000 of those acres under easement. In turn, the permanent conservation of this area guaranteed that the incredible views—from both Blackberry Farm and the Foothills Parkway—would never be tarnished by developments filled with homes and businesses. This action enhanced the land, and today, Blackberry Farm’s culinary teams use it to forage for ingredients, create a safe haven for animal life, harvest regional vegetables and educate visitors about this natural area. This mindset—called the “Blackberry state of mind”—offers guests an experience that allows them to fully embrace getting lost in Blackberry Farm’s genuine connection to nature, which in turn nurtures peace and happiness. However, the Beall Family and their partners didn’t stop conserving there; further along the Foothills Parkway, they purchased some of the most significant properties at the western gateway to the Smoky Mountains. 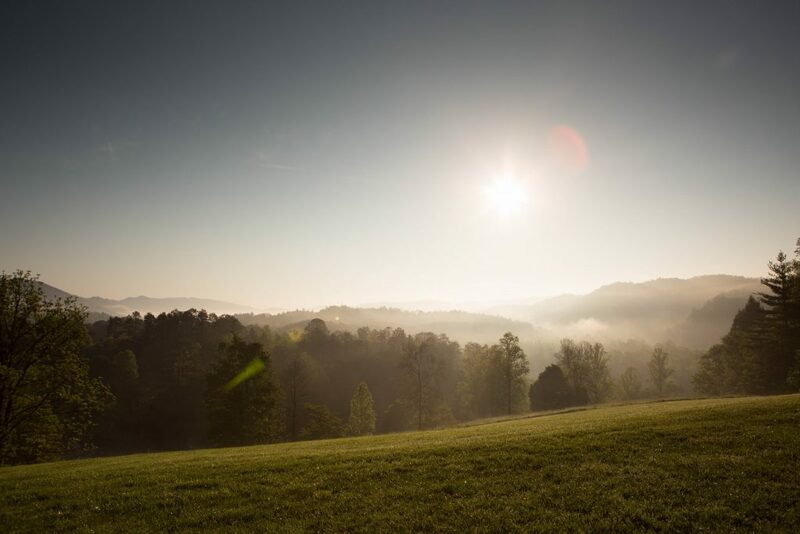 Located within ten miles of Blackberry Farm and within the Chilhowee Mountain ridge, this land—proclaimed Blackberry Mountain—is comprised of 5,200 acres, about 2,700 of which are conserved forever under two conservation easements held by NALT. This diverse terrain rising high above Miller’s Cove represents one of the largest private forested tracts in the area. And most importantly, Blackberry Mountain embodies the “Blackberry state of mind” through the connection to the land it fosters for guests. With an opening date set for February of 2019, Blackberry Mountain will encompass a private national park experience, one that complements the Great Smoky Mountains, but retains its own unique Blackberry feel. Construction is already underway, and plans include the creation of a lodge and spa, a swimming pool to overlook the mountain view, plus rental cottages and cabins made from reclaimed wood and native stone harvested on the mountain. Meanwhile, miles of hiking and mountain biking trails are already complete, and new trails continue to be mapped out. Guests will have the opportunity to meander over bridges, across creeks, beside waterfalls and up to the peak of the mountain, thereby taking full advantage of this wilderness retreat. As the Blackberry Mountain website states, “Blackberry Mountain is a reflection of both the natural beauty of the land and a commitment to excellence in service and experience,” and NALT recognizes that this area represents a commitment to the land, as well. If it weren’t for the exemplary and timely stewardship practices employed by the Beall family and their partners, this remarkable model of conservation-oriented development could have very easily turned into congested development staining the beauty of the Smoky Mountains. Instead, through careful planning with NALT, they have given guests and future generations the opportunity to fully immerse themselves in this unique landscape and the countless benefits it has to offer. While the “Blackberry state of mind” pertains to Blackberry Farm and Blackberry Mountain, we could all stand to benefit from living by this philosophy. Adventure awaits!